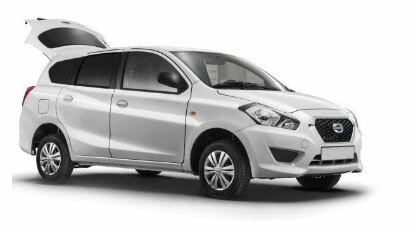 If you’re after a small van that will carry you and your cargo around tight city streets to multiple drops, or if you just need something that will fit into a small garage or driveway the Datsun GO+ Panel Van is for you! The Datsun GO+ PV promises to add a thrill to your daily delivery demands. Put your foot down and feel the perky power deliver torque at low down revs – just what you need when carrying a load. The GO+ Panel Van can accelerate from 0 to 100 km/h quickly helping you to meet your customers delivery deadlines. Cruising at speeds of about 120 km/h on highway deliveries is no problem at all – all at 5.2 l/ per 100 Km/h. The large loading rear door and the side rear doors offer easy ability load your cargo on any side of the road without obstructing traffic or injuring yourself! On the Datsun GO+ PV, it specifies the Docking Station that will allow you to play music directly from your favorite smartphone/gadget. For businesses use WAZE to get you to and from your customers quickly and efficiently.